Cars from Japan have a strong legacy and currently are well regarded all over the globe. STC Japan helps you realize your dream of owning a car of your absolute choice from Japan and keeping within your budget. 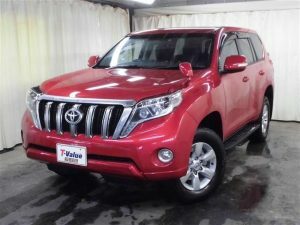 All this done in most professional fashion so that you have the most satisfying working experience with us.In case you are intending to import used cars through us, be advised that our quality control system makes sure at multi-stages that quality and condition of car is thoroughly checked before shipment. Cars have become a necessity in this contemporary era for the masses. Even if a city has good mass transit system, utility of personal car cannot be ignored at all. So while you need the car, every person is unique in terms of his or her set of requirements or wish-list and due to globalization the competition among car manufacturers is tough. Among the car manufacturing industry,Japanese Cars enjoy a well sought for status and this was not achieved in an overnight fashion – it is due to decades of hard work in the right direction by the car manufacturers from Japan. 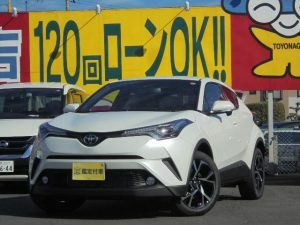 The Japanese car manufacturing industry continues to innovate adding the features and aspects not previously imagined/thought of, thereby meeting (or exceeding in some cases) the ever growing expectations of customers. Cars from Japan have an elaborated structure of features and depth truly comes from wide range of car makes and car models. Cars are available in both conventional combustion system and hybrid mode, while for the former category further sub-categorization is available in terms of petrol, diesel or else. Cars produced in Japan are in all sorts like luxury cars, utility cars, sports cars, hybrid cars, SUVs, MPVs, mini vans, etc. Then there are various brands and associated models of cars. This offers flexibility in making choice as per your requirements. Accordingly, customer-centric approach is kept supreme by the car manufacturers from Japan. 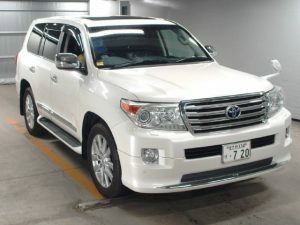 We, at STC Japan, are the trusted exporter of cars (both new and old) from Japan and we take the reputation of cars made in Japan to a next level of customer satisfaction. Our prices are affordable and reasonable – that is not our claim but attestation of our previous customers who have been over a million in number. We export to your country as long as it allows import of cars from Japan. In case you are intending to import Japanese cars through us, be advised that our quality control system makes sure at multi-stages that quality and condition of car is thoroughly checked before shipment. This is thanks to our well designed and robust quality control process, and supervision and dedicated work from our experienced technical staff. Our sales support staff is always ever ready to advise and assist you during the whole process right from the word go i.e. while you are at the initial stage figuring out which specific cars to select from while going through on our website a long list of available cars with respective details and pictures. We have readily available stock of cars from Japan in good number. In addition to all this, if our customers require we are in a position to arrange best freight rates for them and also the custom agents at their home country. Orders can be tracked by customers at every moment. Our shipment time is very swift. We have a number of years of rich experience in exporting cars. Want a car of your dream and at the same time want to remain within your budget, just connect with us!